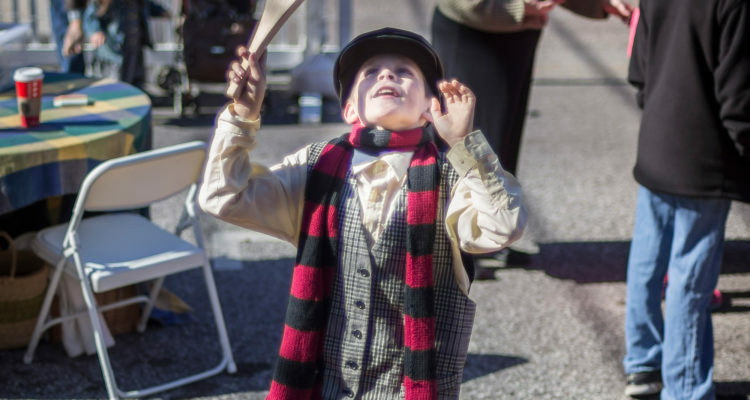 Each year, children by the thousands attend Galveston Historical Foundation’s Dickens on The Strand Festival. With its parades, petting zoos, history encampments and more, there’s a full weekend of quality children’s programming on hand for attendees. This year the educators at the Galveston Children’s Museum will be lending their expertise to a new “Oliver’s Alley” children’s area in the festival grounds featuring hands on educational opportunities for youth. Activities in Oliver’s Alley will allow children to step back in time and experience play in the manner of children in Victorian times. The same techniques used to develop the exciting and novel STEM and Arts exhibits at the Galveston Children’s museum will be used to create a magical place where children can explore, investigate, and discover the Victorian world, creating their own toys and reviving games from the Victorian times. The Galveston Children’s Museum provides a unique, hands-on environment where children explore, investigate, create, and discover. The museum endeavors to provide a venue where learning and play are accessible, appealing, and engaging to everyone in the Island community. The museum aspires to complement and strengthen the learning initiatives of the Island’s educational institutions and provides critical opportunities for children to reinforce concepts learned in a formal environment, and will offer them novel experiences in both STEM subjects and the Arts. It strengthens families by providing a place for children and caregivers to learn together, and by presenting parents and caregivers with ideas about continuing the learning-through-play model at home. The Galveston Children’s Museum is uniquely positioned to build bridges across social and economic divides in the community, as children and families from all backgrounds in the community come together to simply play. Since our family is traveling from Houston to attend, it would be helpful to have a printable Schedule of Events (i.e., parade schedule and the different bands and entertainment at each area) in order to plan ahead of time how best to enjoy the day. The schedule that is buried in one of the paragraphs is inadequate. You can access the schedule directly at http://52.15.118.96/wp-content/uploads/2014/09/DOTS_TAB.pdf.